. @NatureNews reveals bias against Taxonomists in hit piece on @ScientistTrump – Donald J. Trump, Ph.D. If the disgusting and corrupt science media covered me honestly and didn’t put false meaning into the papers I wrote, I would be winning election to the National Academy by 20%. It is not ‘freedom of science communication’ when science reporters and others are allowed to say and write whatever they want even if it is completely false! A recent hit piece by the money-losing Nature News and Comment asserted — with absolutely no proof — that I am the creation of another scientist. This is totally false and everybody knows this. Nature News also selectively edited the interview with me because they are totally biased against taxonomy and collections-based field research. I totally called that this was going to happen when I saw who the reporter was (I refuse to call Sara Reardon a gel jockey, because that would not be politically correct. Instead I will only call her a molecular biologist). Fortunately, we have dealt with the science media and know what to expect, so we saved a transcript of the interview. We ask you, @NatureNews why did you leave out the questions and answers below? What do you have against taxonomy and systematics? What kind of science should we be funding more of? Our taxonomy is especially bad, it used to be the best but now its a disgrace. I will increase funding for taxonomy, systematics, and museums, which I will fully offset by eliminating budget gimmicks. No one understands the genus Pheidole like I do – wee will be so good at taxonomy your head will spin. They also refused to publish my answer on government spending on Science. WHY? Is there a secret relationship between them and The University Research Foundations we don’t know about? I don’t know, it’s something people ask me all the time. Is the government spending enough money on science, or too much? Our indirect cost rates are insane – my opponent has done NOTHING to change that despite being in government her entire adult life. Not paying overhead to the the university makes me smart. It would have been squandered anyway! Show the Science Media that they can’t rig this election. Join the movement to Make Science Great Again! 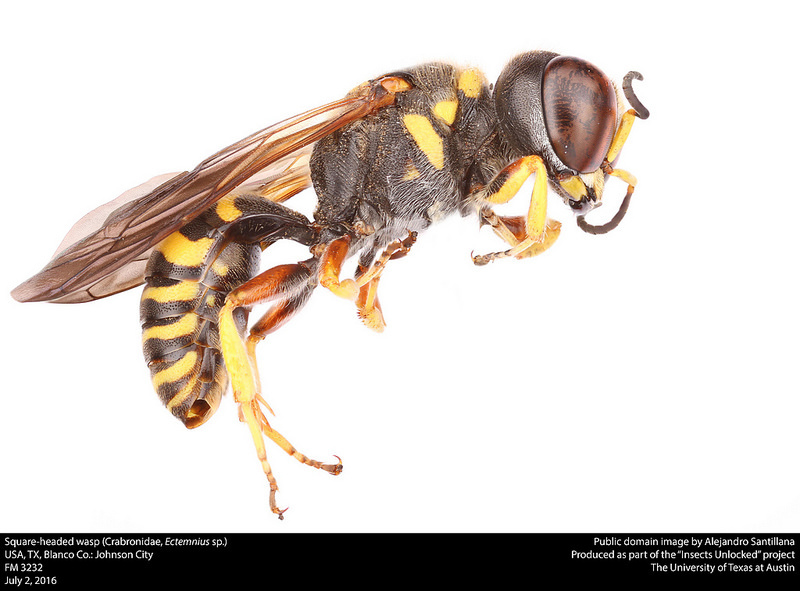 Square-headed wasp (Crabronidae, Ectemnius sp.). Photo Credit: Insects Unlocked, Public Domain.